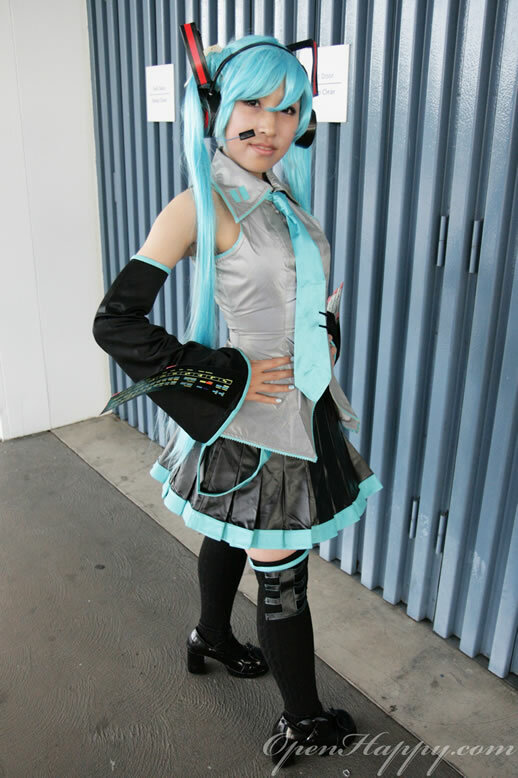 Hatsune Miku is the first installment in the Vocaloid2 Character Vocal Series released on August 31, 2007. 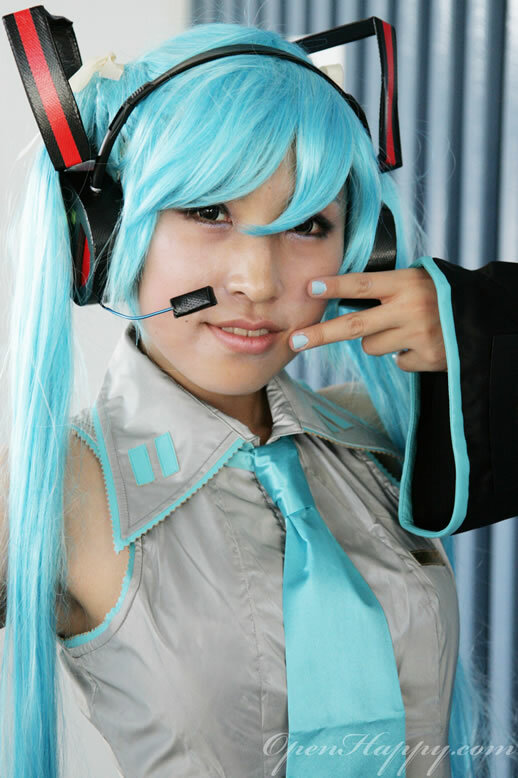 The name of the title and the character of the software was chosen by combining Hatsu (First), Ne (Sound), and Miku (Future). 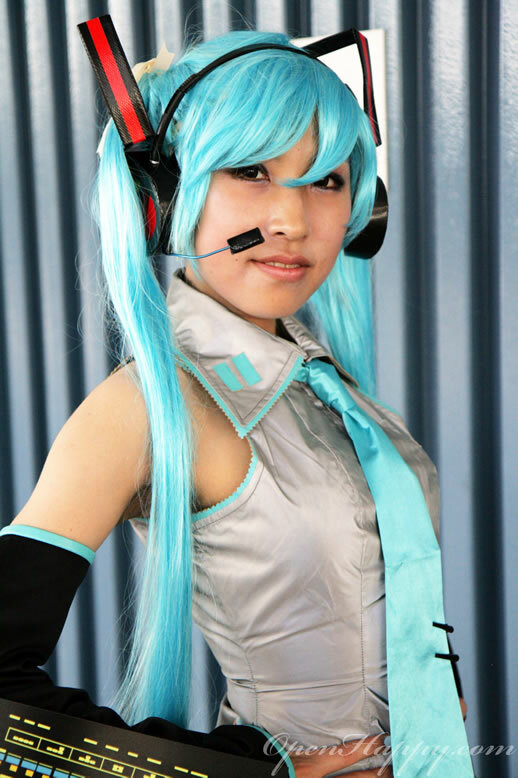 The data for the voice was created by actually sampling the voice of Saki Fujita, a Japanese voice actress. 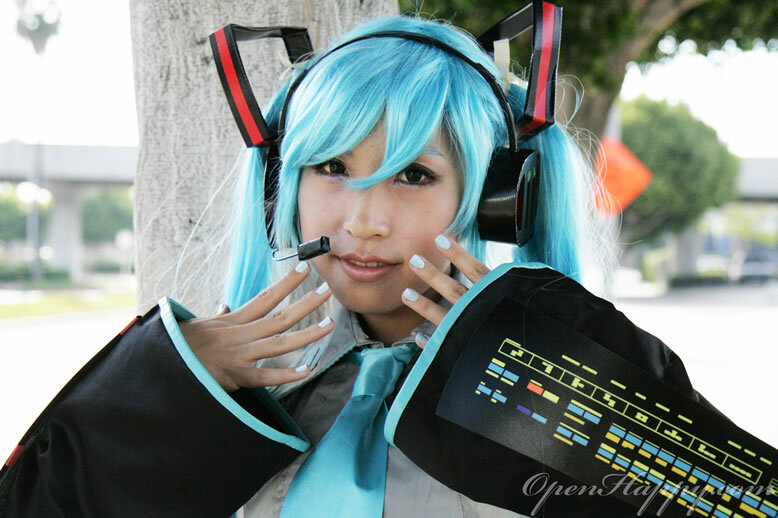 Unlike general purpose speech synthesizers, the software is tuned to create J-pop songs commonly heard in anime, but it is possible to create songs from other genres. 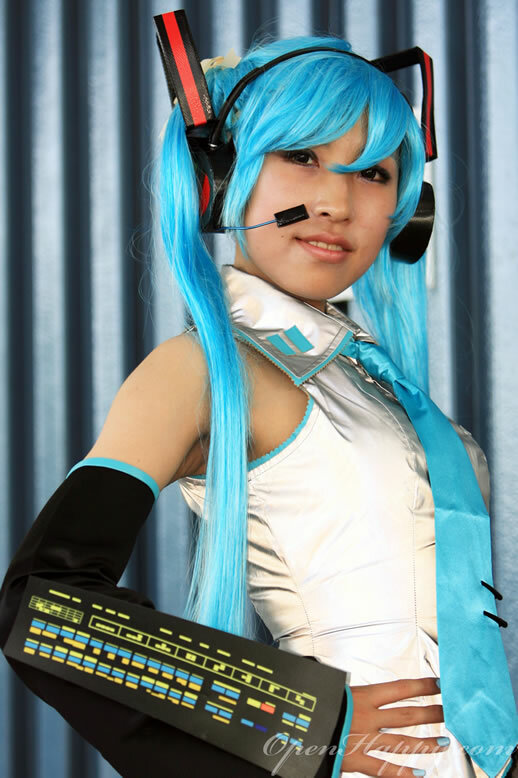 I actually don't even know such cool application exists until I asked the model about the character. 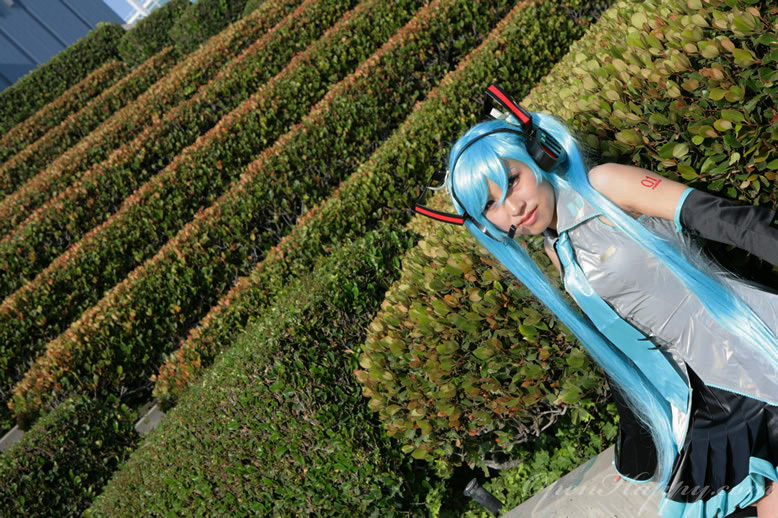 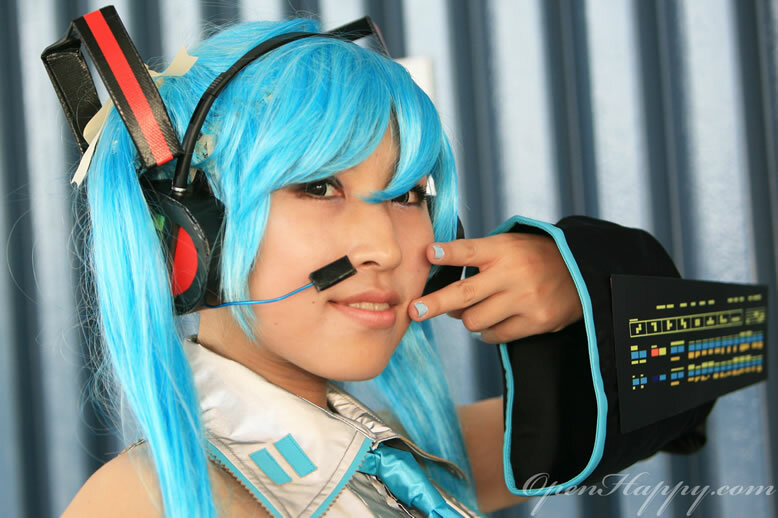 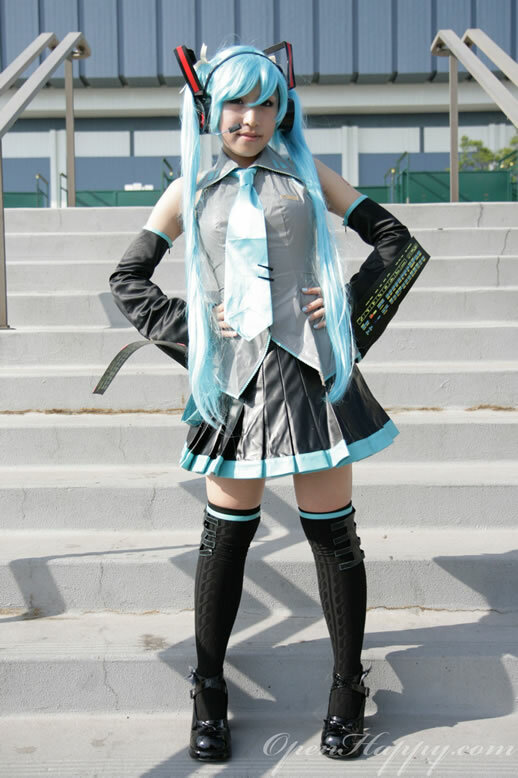 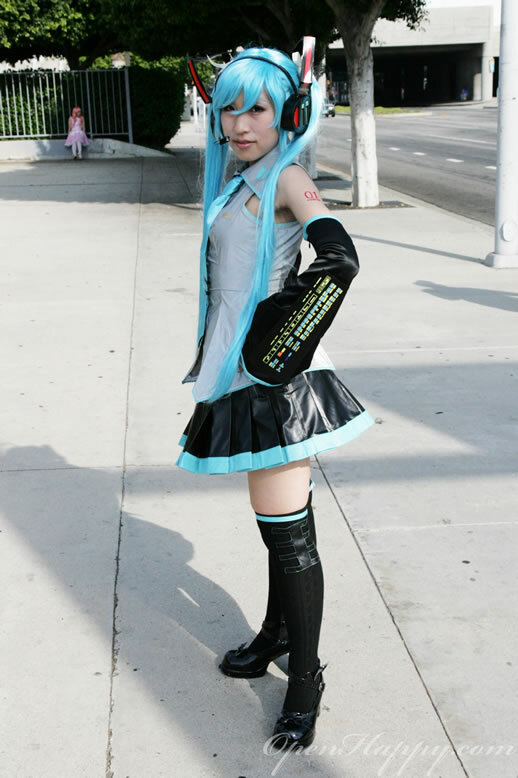 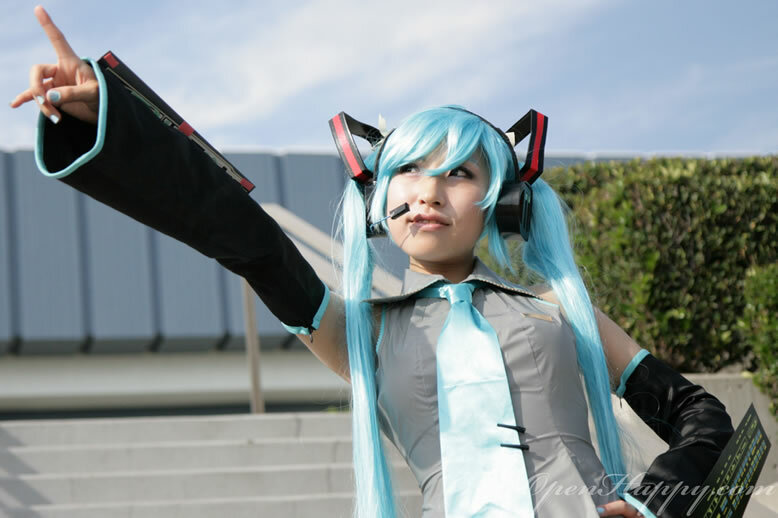 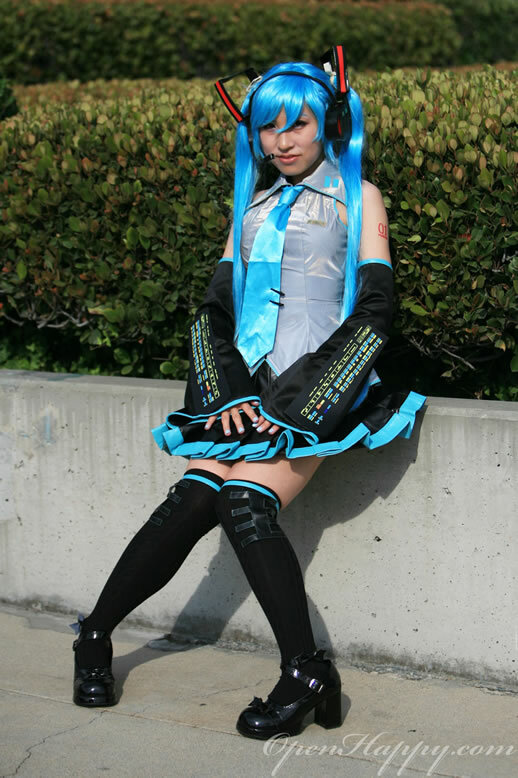 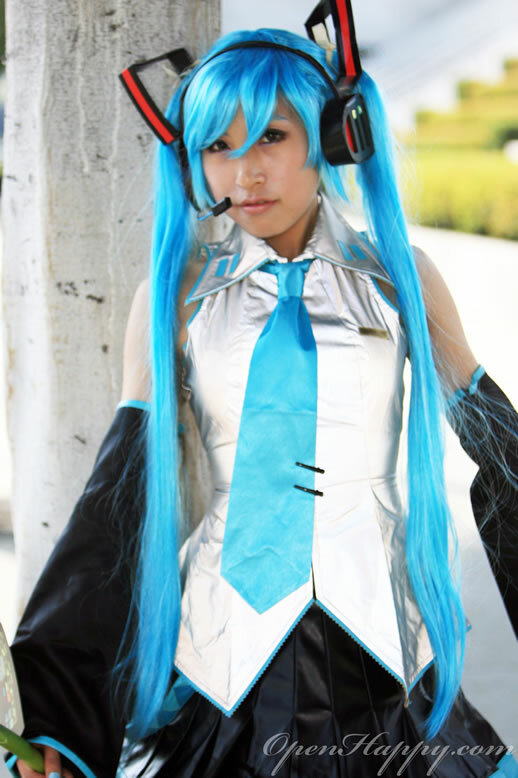 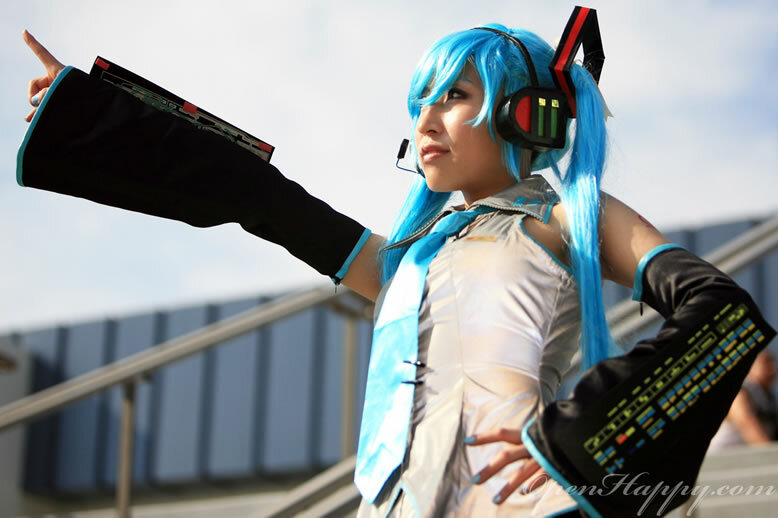 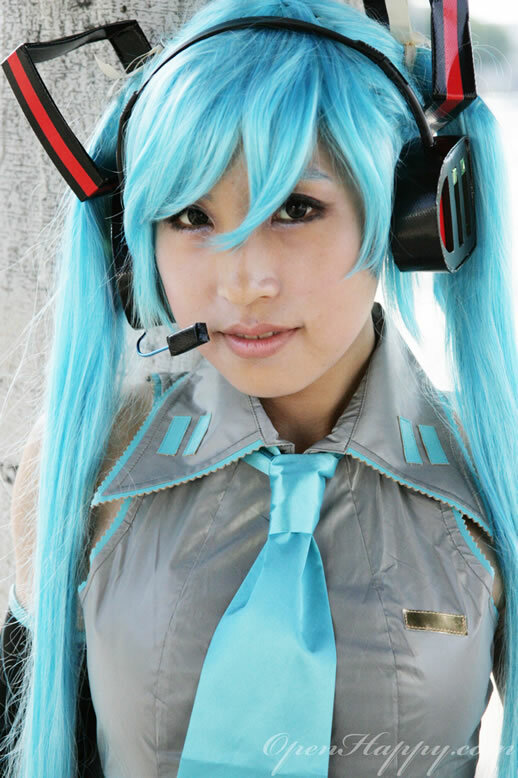 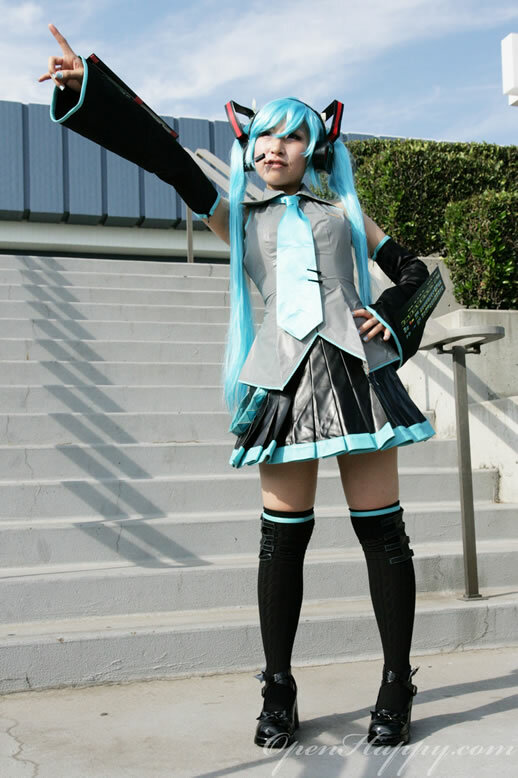 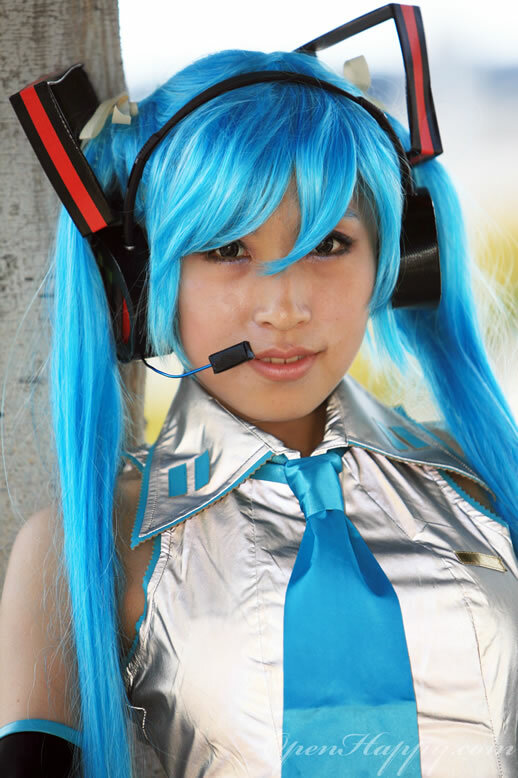 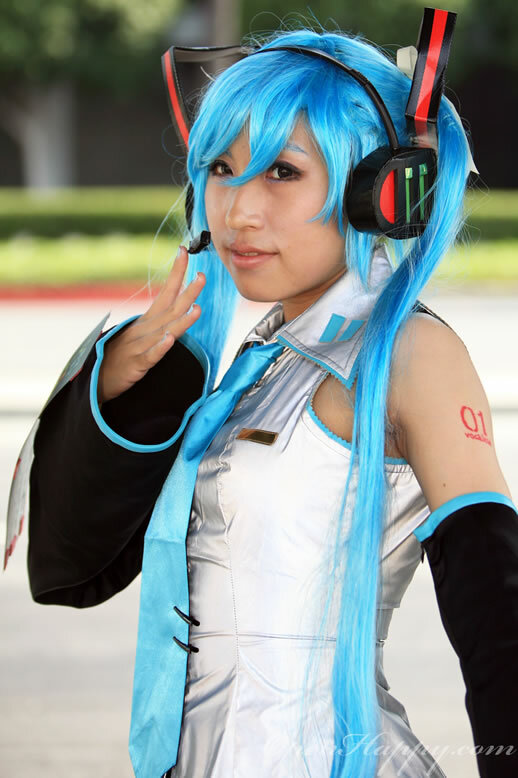 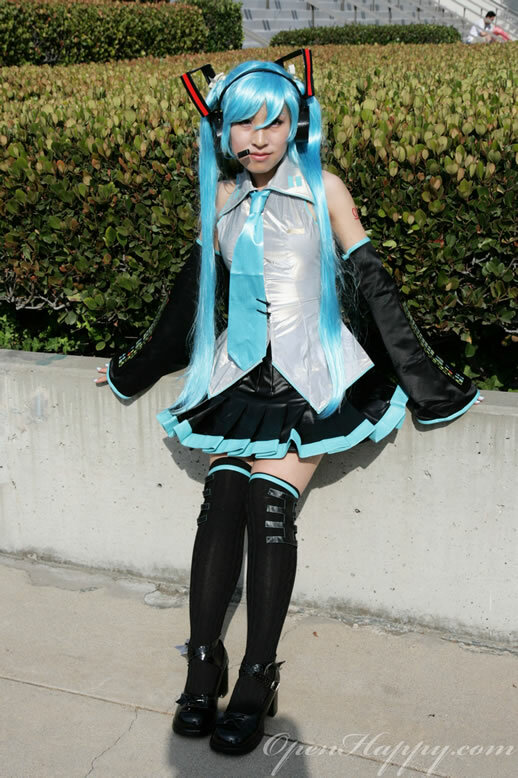 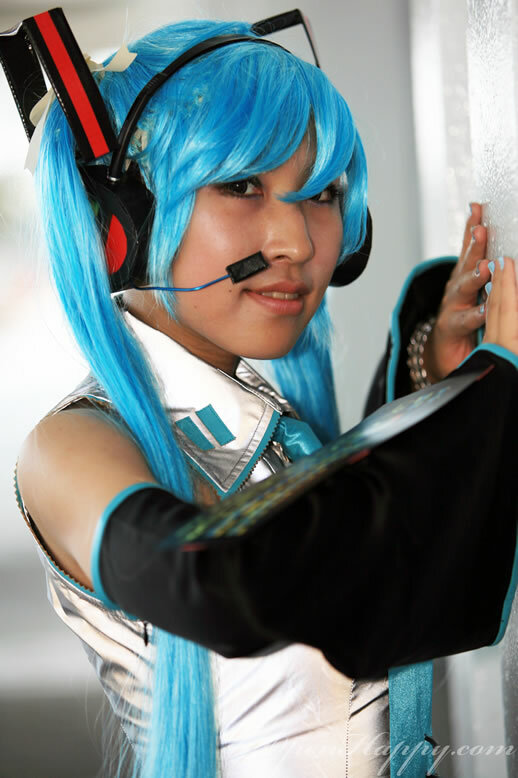 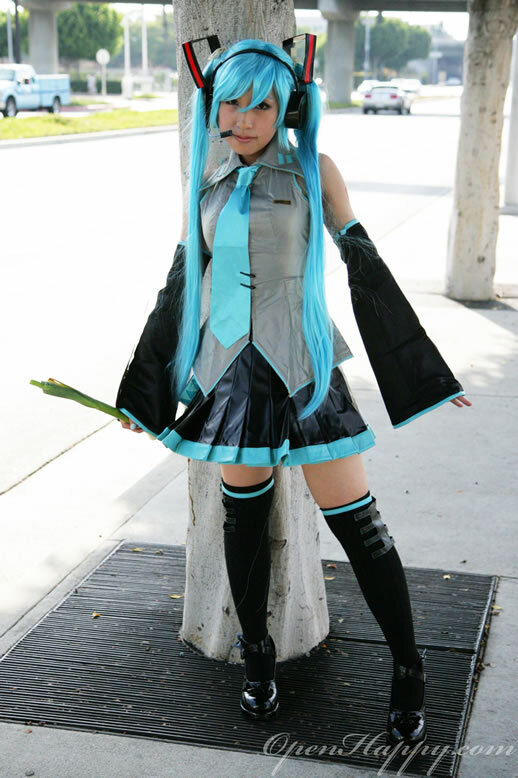 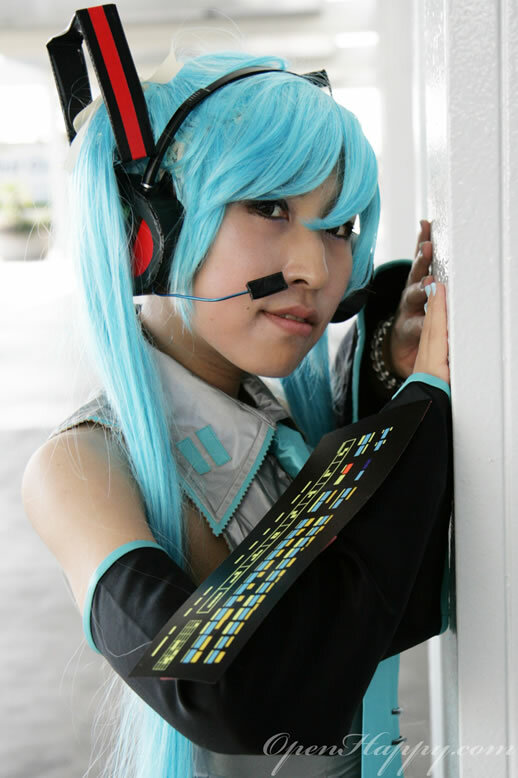 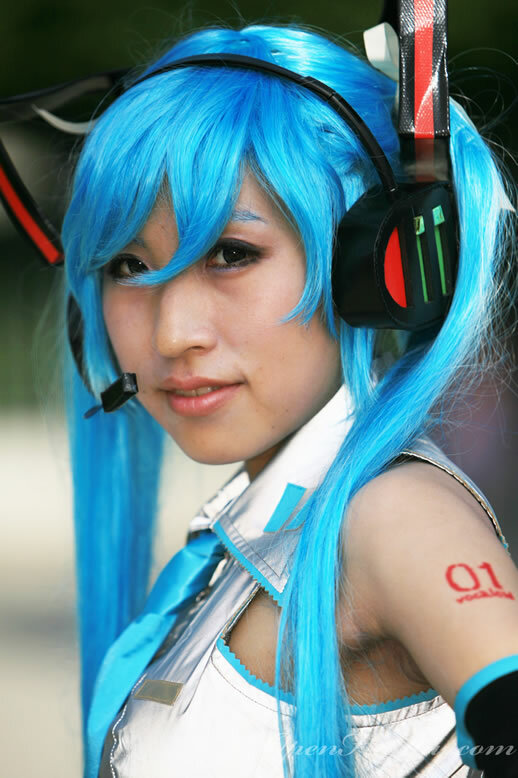 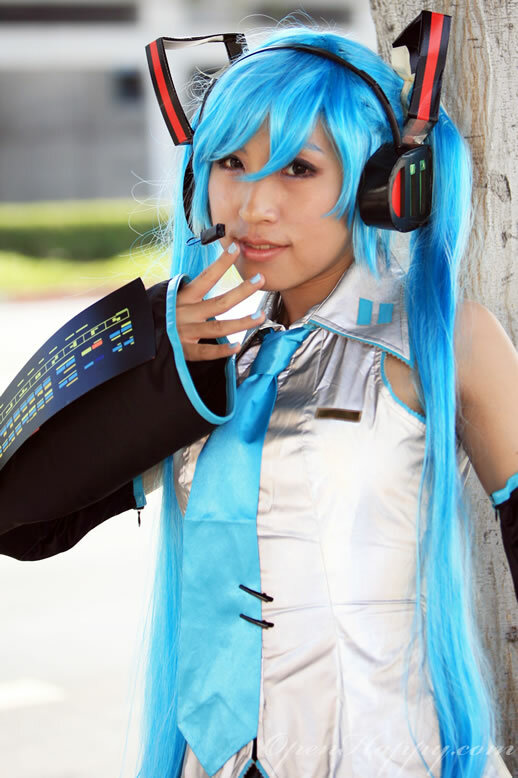 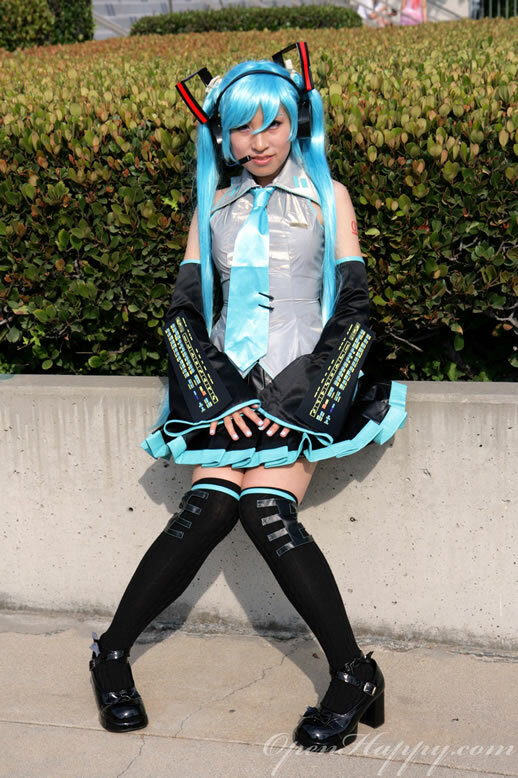 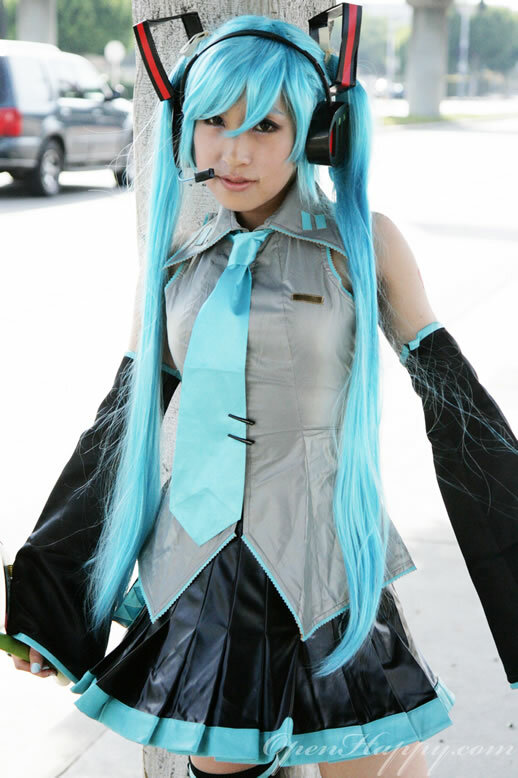 In any case, here is a beautiful Miku Hatsune from AX 2008. 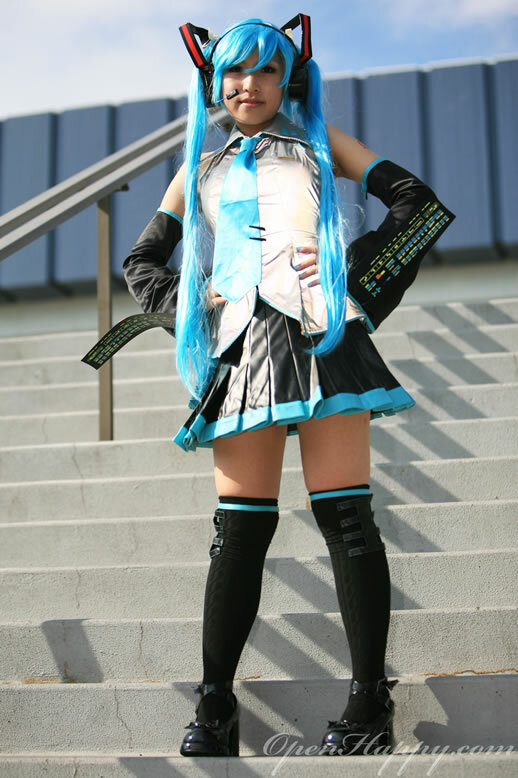 Besides the pretty model, the custome is really well made with tons of details.